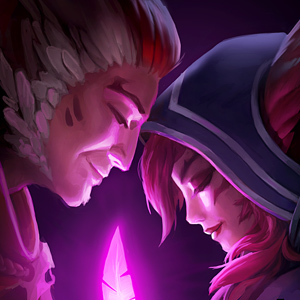 Surrender at 20: Rakan, the Charmer & Xayah, the Rebel now available! 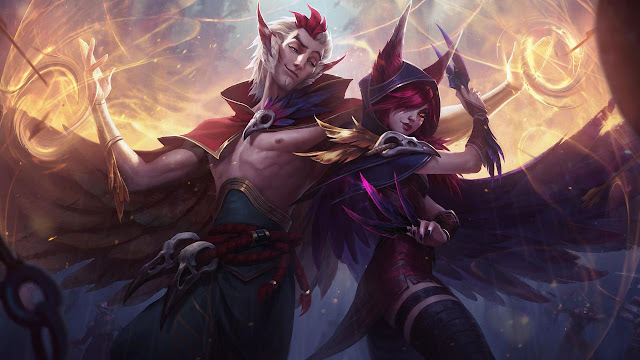 Rakan, the Charmer & Xayah, the Rebel now available! "Were they trying?" "Probably but there are two of us. "- Rakan & Xayah are now available for purchase! 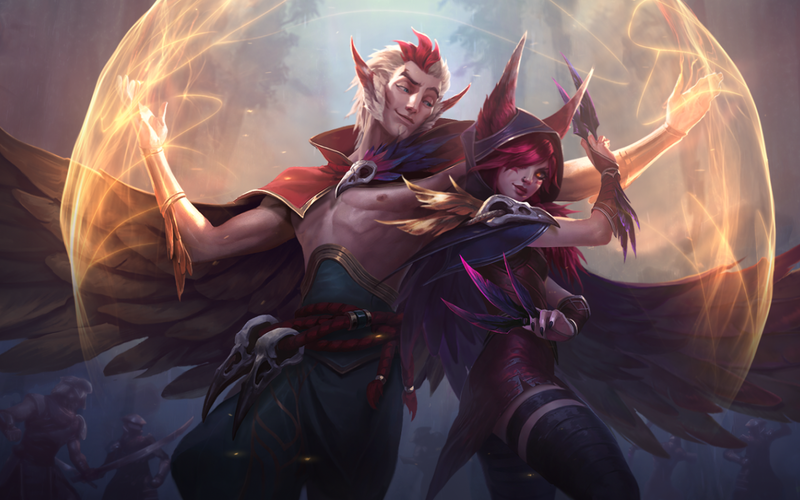 During their first week of availability, Rakan and Xayah will be priced at 975 RP / 7800 IP each, after which they will drop to the standard 6300 IP price point. 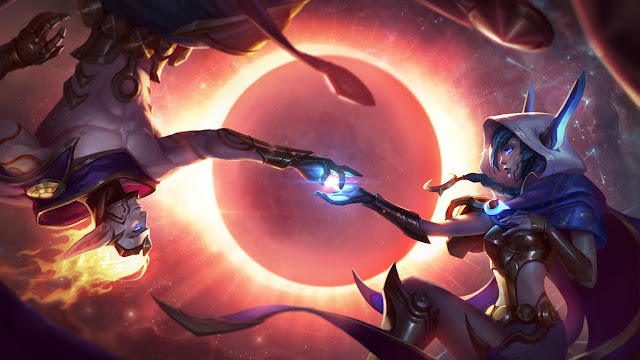 Alternatively, you can pick up Rakan and Xayah and their Cosmic skins in their limited time release bundles for for the first few days after release. We also have two icons available to earn, bundles, and an upcoming ip weekend to celebrate the duo's launch & IP gifting! "Birds of a feather carry together. Xayah and Rakan are available now. 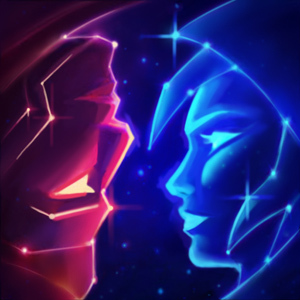 Dusk and Dawn Icon (1 RP - Bundle Exclusive Icon)"
That's right as a special promotion during the release of Xayah and Rakan, two new summoner icons will be available to unlock, both champions will both be available for IP gifting, and we'll be having a DOUBLE IP weekend! 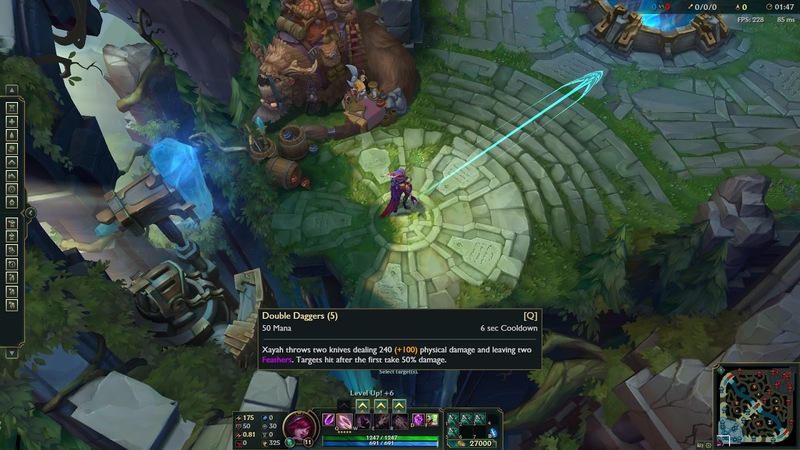 After using an ability, Xayah's next 3 basic attacks will hit all targets along their path and leave a Feather for 6 seconds. The main target of her empowered attack takes full damage and on-hits while other targets take 50% damage. Xayah can store up to 5 empowered attacks. Lover's Leap - Xayah and Rakan can recall together. Xayah throws two knives dealing 80/120/160/200/240 (+100% bonus AD) physical damage and leaving two Feathers. Targets hit after the first take 50% damage. Xayah creates a storm of blades for 4 seconds that grant her 30/35/40/45/50% attack speed and cause her basic attacks to strike an additional time for 20% damage. 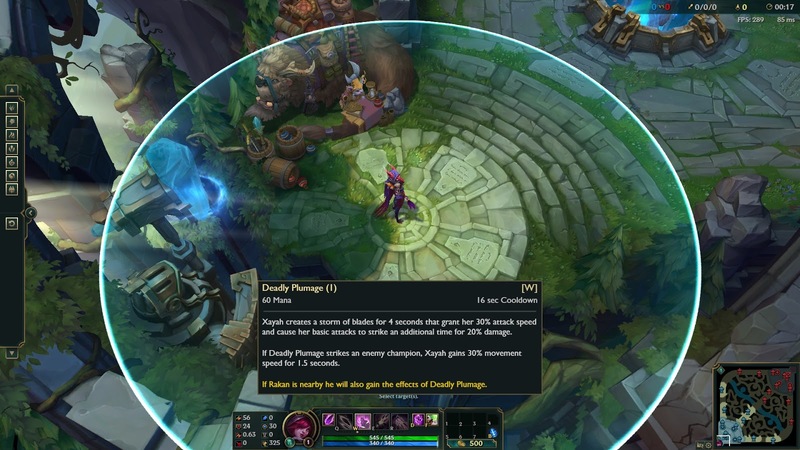 If Deadly Plumage strikes an enemy champion, Xayah gains 30% movement speed for 1.5 seconds. If Rakan is nearby he will also gain the effects of Deadly Plumage. 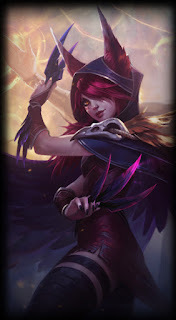 Xayah calls all Feathers back to her, dealing 50/60/70/80/90 (+60% bonus AD) (+0.5% increased to total damage done for each 1% crit strike chance**) physical damage to enemies they pass through (Increased by Critical Strike Chance). Hitting an enemy with 3 Feathers roots them for 1 second. Minions take 50% damage from Bladecaller. "Also, each feather past the first deals 10% less damage, with a floor of 10% at 10 feathers (100%, 90%, 80%, 70% ... 10%, 10%, 10%)" -src. Crit scaling is "0.5% increase to total damage done for each 1% critical strike chance" -src. 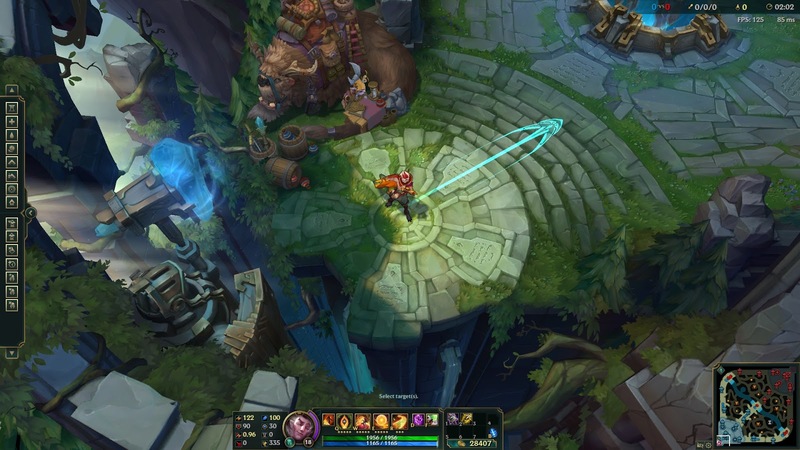 Xayah leaps into the air becoming untargetable. She then rains down daggers which deal 100/150/200 (+100% bonus AD) physical damage and leave behind a line of Feathers. Xayah can move while in the air. Here's the full Xayah voiceover, including numerous special interaction and unique VO lines when around Rakan. "I can never resist an invitation to dance." "Fine, I'll just be over here... sharpening my feathers." 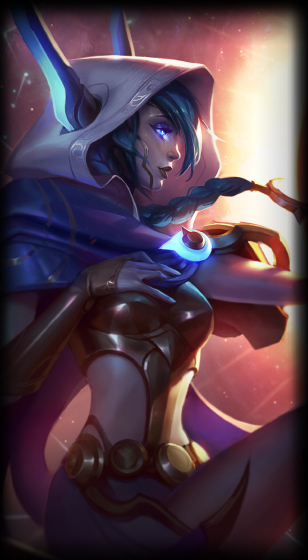 The full bio and story can be found on Xayah's UNIVERSE page. 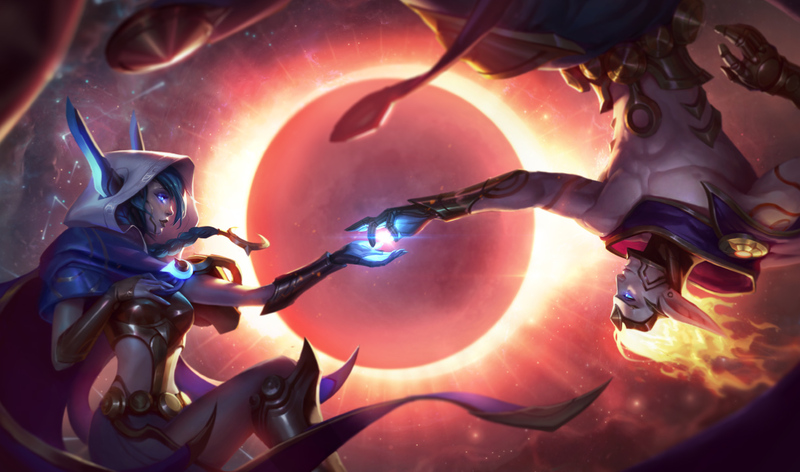 To go with Cosmic Dawn Rakan, Xayah's release skin is Cosmic Dusk Xayah! 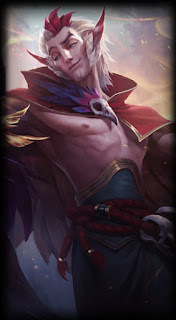 Every [40-16] seconds, Rakan gains a [33-254] (+90% AP) health shield. 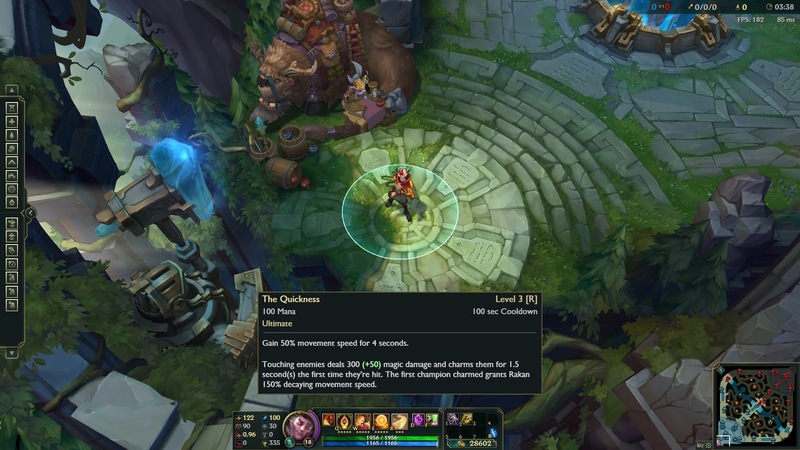 Rakan's basic attacks and spells on enemy champions reduce this cooldown by 1 second. Flings a magical feather that deals 70/115/160/205/250 (+50% AP) magic damage to the first enemy hit. 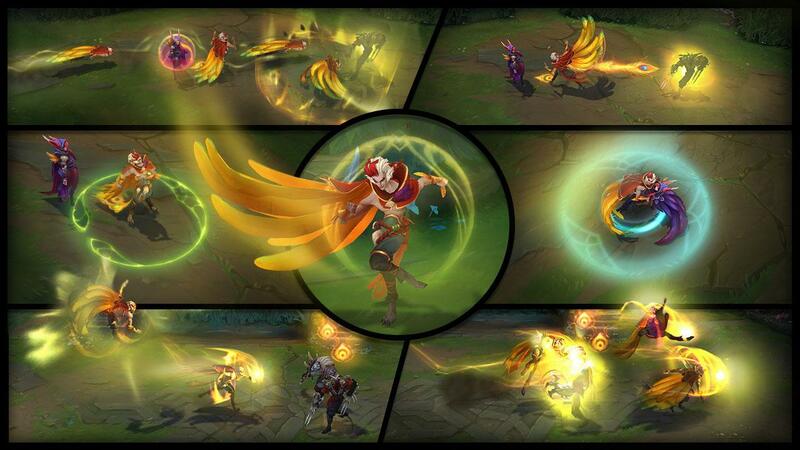 If the feather hits a champion or epic monster, Rakan restores [23-150] (+70% AP) health to himself and nearby allies after 3 seconds or when he touches an ally. Dashes to a location. Upon arrival Rakan spirals into the air, dealing 70/110/150/190/230 (+50% AP) magic damage and knocking up enemies for 1 second. 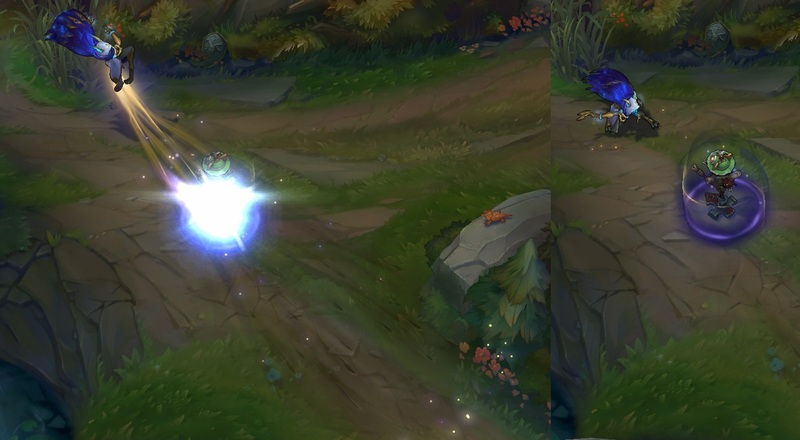 Flies to an allied champion, granting them a 50/85/120/155/190 (+80% AP) health shield for 3 seconds. Can be re-cast at no cost once within 5 seconds. 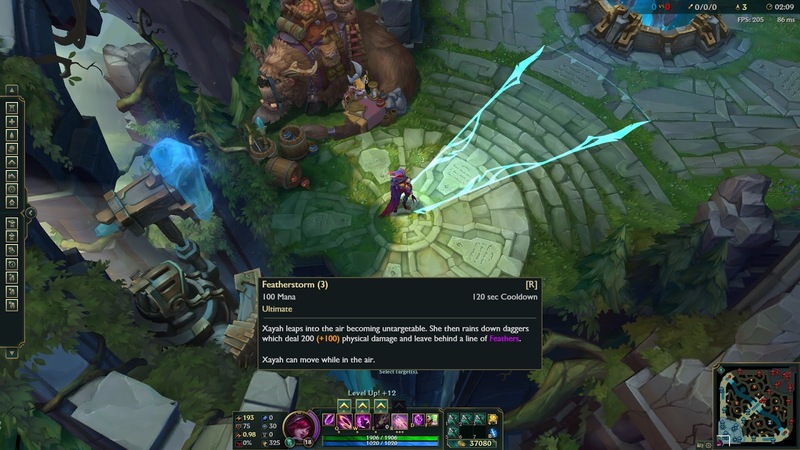 Battle Dance's cast range is increased when cast on Xayah. Gain 50% movement speed for 4 seconds. Touching enemies deals 100/200/300 (+50% AP) magic damage and charms them for 1/1.25/1.5 second(s) the first time they're hit. 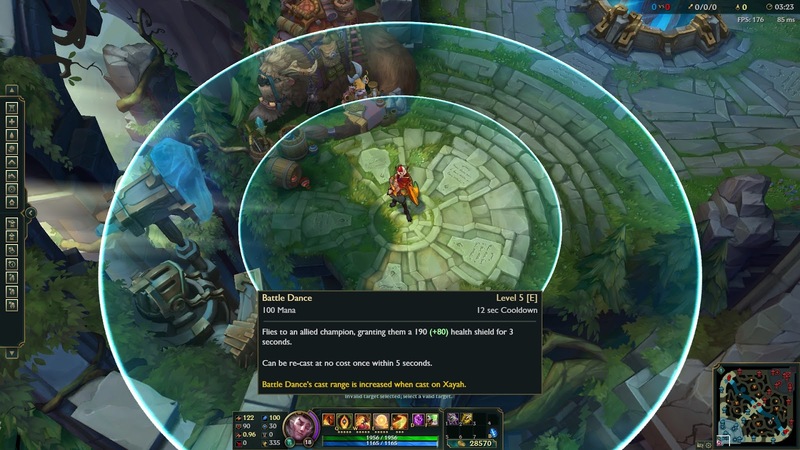 The first champion charmed grants Rakan 150% decaying movement speed. Here's the full Rakan voiceover, including numerous special interaction and unique VO lines when around Xayah. As mercurial as he is charming, Rakan is an infamous vastayan troublemaker and the greatest battle-dancer in Lhotlan tribal history. To the humans of the Ionian highlands, his name has long been synonymous with wild festivals, uncontrollable parties, and anarchic music. Few would suspect this energetic, traveling showman is also partner to the rebel Xayah, and is dedicated to her cause. 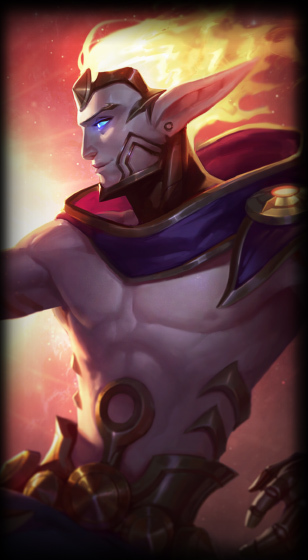 The full bio and story for Rakan are now available on his UNIVERSE page. 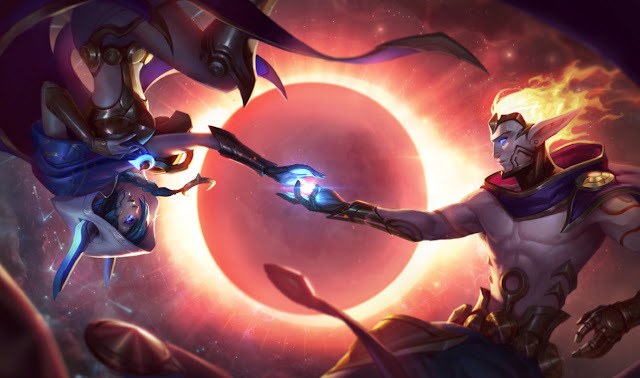 To go with Cosmic Dusk Xayah, Rakan's release skin is Cosmic Dawn Rakan! 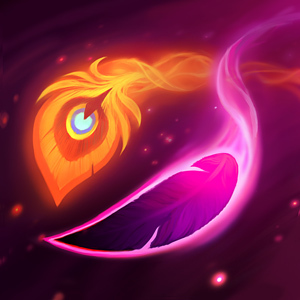 Three new summoner icons featuring Rakan and Xayah are available! The Blazing Feathers and Gift of Magic icons are available through a special release promotion through April 26th Pacific time! Blazing Feathers Icon - "Earn a special summoner icon by bringing Xayah and Rakan together on the Rift. To qualify, play two games as Xayah with Rakan on your team, or as Rakan with Xayah on your team. Any completed normal, ranked, or bot game mode will count (custom games excluded). **"
Gift of Magic Icon - "Gift Xayah or Rakan to a friend for just 6300 IP (normally 7800 IP) and unlock an exclusive Summoner Icon for yourself (also works if you gift using RP). **"
Check out Xayah and Rakan: Wild Magic. 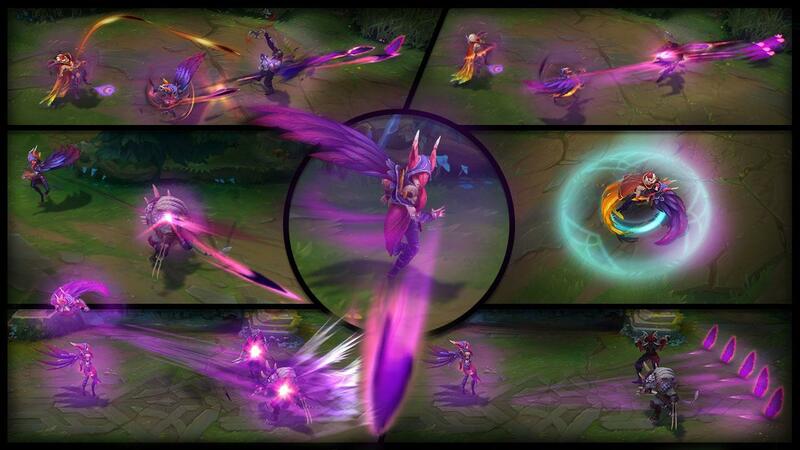 "Restoring the wild magic of Ionia won’t be easy when a deadly enemy lurks in the shadows. Bios & Short Stories: http://universe.leagueoflegends.com/e..."